Product information "SDS Speech Dialog System voice control retrofit for Audi A8 4E"
Very useful for dialing numbers and for navigation. This system is only for cars with MMI-High (color 7" display) and multifunctional steering wheel. Must be activated by your Audi dealer. 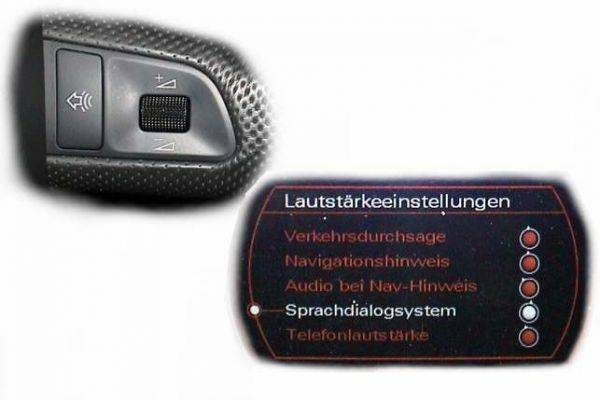 Customer review for "SDS Speech Dialog System voice control retrofit for Audi A8 4E"
Installation manuals for "SDS Speech Dialog System voice control retrofit for Audi A8 4E"